This practice runs a computer system for repeat prescriptions. 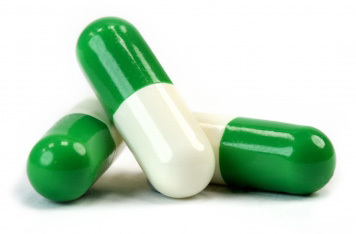 Your prescription will be issued together with a slip showing your medication. Please check that this record is correct. When requesting a repeat prescription please bring or post this record to the surgery and indicate the items you need. You can also request a repeat prescription using online ordering service via the link at the top of this page. Unless already registered for this service, please contact either reception to request details of how to do this. We regret we cannot take prescription requests over the telephone. This is because of patient safety issues. If you would like your prescription posted to you please send us an S.A.E. Some of the local pharmacists have made arrangements to collect prescriptions from the surgery. Details of this service can be obtained from the receptionist. Do not order more than you need. 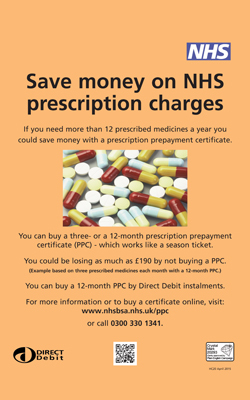 For most medicines the Practice Policy is to issue 28 days of medication at a time. This reduces wastage of medicines. Please read the side of your prescription - it may carry a message that some items will not be renewed until you have had an appointment with your doctor. Please remember to make the appointment before your medication runs out. If you have recently had your medication changed at a hospital visit, your records may not have been updated as a letter takes time to arrive at the surgery so contact with reception would be needed to confirm that the new medication has been added to your list (and just as important that the old medicine deleted if appropriate). Yapton Pharmacy is an independent comapany working from Avisford Medical Group (Yew Tree Surgery). The practice receives income from rental (in line with the standard NHS reimbursement). The partners are also minority shareholders in the Pharmacy. or more than 15 items in 12 months, you may find it cheaper to buy a PPC.